The spirited energy of contemporary art in the Northwest befits a comparatively youthful art community. Only a few decades ago the region's distinction was based primarily on its natural splendor, but as the century ends it is becoming increasingly important as a dynamic art center. Since the mid-1980s the number of galleries in Seattle and Portland has more than tripled. The Seattle Art Museum has opened a splendid new facility in downtown Seattle and refurbished the Art Deco building in Volunteer Park to hold its famed Asian collection. The Portland Art Museum has purchased a large adjoining building which will greatly expand its exhibition space and services. Both cities engage in progressive public art projects that are emulated throughout the country. Their growing cosmopolitan populations and economic interchange with other Pacific Rim regions and countries stimulate the cultural environment and bring new zest to the evolving identity of Northwest art.<br />It is not surprising that the cosmic mysticism characterizing the famed Northwest School of the 1950s has been superseded by an art as diverse and eclectic as the complex society it now represents. While many of the issues that drive today's art are national and international in scope, the manner in which they are addressed by Northwest artists reflects a confidence and freedom of spirit. 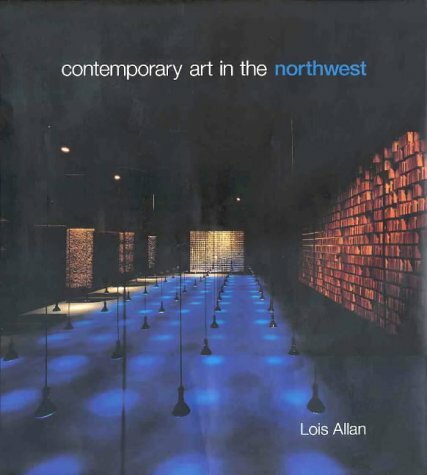 This book is a valuable survey of leading Northwest artists' work and provides a thoughtful consideration of the context in which it is created.